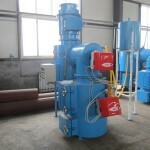 Incinerator to have double combustion chamber and control amount of dioxin and other gasses emitted without being harmful. Estimated dimensions, to manufacturers standard, but to be compact as possible. capacity: approximately 60kg per day, voltage: 220V and diesel fired. Mmedical waste incinerator capable of disposing up to 0.5 cubic meter of infectious or pathological waste. High Quality heat resistant, two layers high-grade epoxy Paint coating. Mobile loading trolley: 06 No’s – For transportation of hospital waste from wards to incinerator site/ room, Opening from the top. WASTE BINS MOBILE: 06 No’s-Made of Plastic, in blue color with a cover flap. Plastic Bags: 2000 no’s each in Red and Yellow color. Long Shoes Pairs: For waste handling – 06 Pairs. (primary camera and secondary camera). One furnace to be installed in a hospital of 440 architectural beds and 375 administrative beds. This furnace should have the capacity to burn from 180 to 220 kilogram per day of medical waste and organic waste. Mmedical waste incinerator capable of disposing up to 0.25cubic meter of infectious or pathological waste. incinerator for medical waste.Controlled air medical waste incinerator designed for incineration of bio-medical waste generated at a blood-processing center. The waste to be treated mainly includes bio-waste (i.e. bodily fluids), infectious and hazardous waste such as syringes, needles, and other medical waste (i.e. silicon rubbers, plastic, textiles, papers, packs, etc.). 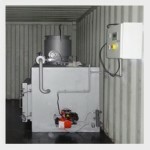 a diesel fired medical waste incinerator with a capacity of 300Kg/hr. to be installed at a waste disposal site away from populated areas. 3) A 230V, 60Hz single-phase electrical source. 4) Protections against over-voltage and over-current line conditions. 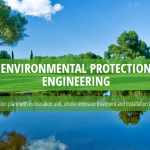 5) Compliance with applicable Ghanaian standards and regulations. 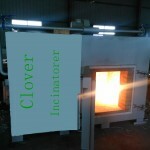 6) Two-stage incineration with dual chamber combustion.Incinerator with Oil Burner . 5. CALORIFIC LOWER (LCP) WASTE OF THESE MUST BE OF 3500 KCAL / H. an incinerator with loading indicator, temperature control functions and with two chambers (primary and secondary). 1. Are these units fueled by natural gas? 2. Do the units ship fully assembled or in pieces? 3. Are smoke stacks included? 4. Can the units be installed within a city area or should they be outside city limits? 5. What floor area does each unit require? 6. What kind of enclosure is required? 7. What is the typical fuel consumption for each unit? The minimum exit velocity of the emissions shall not be less than 10 metres/second;1. Capacity of destruction in weight: 60 Kg/h. 5. “PYROLYTIC” combustion, by controlling the gasification of waste. 6. The incinerator must avoid the release of black smoke and fine dust, (Smokeless) during the loadings. 7. It should be able to reduce the volume of wastes by 98%. 8. It should be able to hold emission in the second burn with gas residence of not less than 2 seconds. 9. The incineration should be completely free from visible smoke as well as offensive odours. 13. The Dimension of the door for loading in cm: 70×70. * A burner of lighting which the use is limited to the ignition of waste. * Frontage of loading with door seals gone up on hinges, wheel of screw plug, flexible joint, and stuffing insulating out of refractory. * The insulation of the combustion chamber should be composed of refractory bricks, having a high content of aluminium and insulates bricks in order to assure a minimum temperature on the outside sheet metal. * Burner of lighting of waste, with fuel, standard mono-bloc casting guiding plunging flame, lighting and safety of electronic ignition, permanent ventilation, electromagnetic sluice gate of regulation and isolating valve. * Plate of combustion in Carborundum, avoiding the fixing of glass and slags. * A sheath of evacuation of the gases burnt. * Carcass in strong sheet steel with support of connection. * Burner with fuel, mono-bloc casting guiding type with horizontal flame, lighting and safety of electronic ignition, permanent ventilation, electromagnetic sluice gate of regulation and isolating valve. * A secondary injection of air to ensure perfect oxygen content. 19. A control box ensuring the complete cycle of combustion. * Electro-ventilator distributing the secondary air, the regulation of the air flow being carried out by valves and following the control of the automatic cycle. * A switch circuit breaker for each engine (ventilators and burners). * A timer with adjustable temporization for the regulation of each burner. * A regulator with digital watching for the temperature of combustion. * A regulator with digital watching for the temperature of postcombustion. 21. The de- ashing must be done in the bottom of the combustion chamber or the deashing should be Automatic or manual batch de ashing. 22. 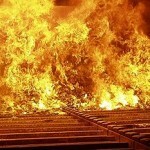 The supplier must give batches of spare parts of first urgency and consumable of the incinerator. 23. The installed incinerator must bear a one year guarantee. 24. The supplier shall perforn an onsite installation of the incinerator. 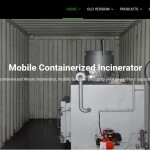 Single and Dual Chamber Medical Incinerator.durable and highly efficient incinerators with various capacities for hospital/medical waste, cremation and other solid waste treatments. · Option for medical waste. The units will be used for our client camps in the field. These Camps range in manning size from 20 – 200 people. Each site has a medical clinic, a very small use for medical but will need it. *Wall plastered smooth.Incinération à haute température pour la destruction complète des déchets contaminés ou dangereux. Incinérateur double chambre 900°C/1200°C de capacité 30 kg.